If you want to increase your productivity in the office, the first thing that usually comes to mind is constructing a better, more streamlined document management strategy. And in today’s data-intensive world, PDF files that create bottlenecks will be your first target. Because it’s so compact, secure and portable, the PDF is perfect for viewing, storing and sharing any content within your company. Nevertheless, this can cause serious problems when you need to repurpose, analyze or edit the content trapped within the file format. If you know how difficult it is to work with one PDF document, then you can imagine what it’d be like to work with five, ten or even twenty PDFs at a time. There are some online conversion services you can use to convert files one by one, but if you need to convert a batch of PDFs accurately, quickly and on a regular basis, you’re better off with a professional desktop tool. 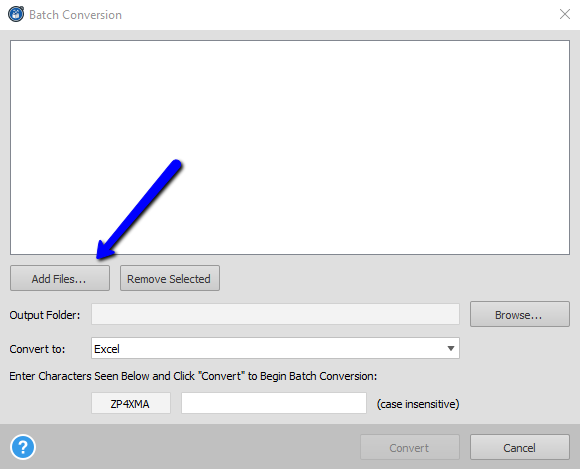 Besides basic conversions, Able2Extract lets you convert an unlimited number of PDFs at once by using the Batch Conversion feature. And this can be used for any document management setting, not just those in businesses. This option can help financial managers and data journalists convert a huge amount of PDF data they wish to analyze in Excel, but don’t have the time to convert them one by one. Engineers can convert dozens of PDF project plans, modify and save them in AutoCAD formats. It’s also a neat feature for students writing a thesis and want to include or collect statistics from various PDF sources into a Word document. Dealing with mass PDF document conversion is a good place to start boosting your productivity. Not only does it let you group your conversion tasks together, but it also gets all your conversions done in one shot. Perfect for anyone looking for a quick fix for accurate and speedy conversions on a number of PDF documents. After opening the program, click on a Batch icon at the top menu bar. A Batch conversion, pop out window will appear and you’ll be able to insert your PDF files by clicking on the “Add files…” button. Once your files are selected, they will appear in the main box, indicating that they are in a queue for conversion. With a “Remove Selected” button, you can always exclude any file you don’t wish to convert. 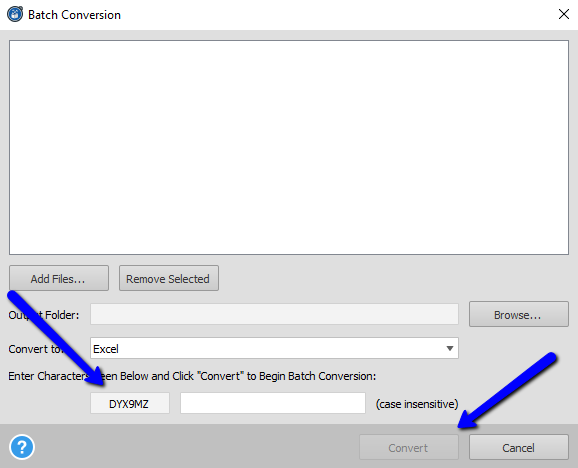 After you’ve added all desired files you wish to convert, choose an output folder by clicking on the “Browse…” button and select the conversion format from “Convert to” drop down menu. The final step is to enter the case sensitive code and click on the “Convert” button. Depending on the number and the size of your files, you can see your converted files in almost instantly in your designated output folder. The best part is that the entire process is automated. It requires no other input from you. You’re free to keep doing your work while your PDFs are taken care of in the background. Note that the Batch conversion can also convert scanned PDF documents, but only as images. The embedded OCR functionality, that allows you to edit your files, is not available for this type of conversion. We live in the modern-day world where digital document issues can either make or break your company’s efficiency. But with modern-day tools like Able2Extract this can be one of the more easier productivity obstacles to tackle. 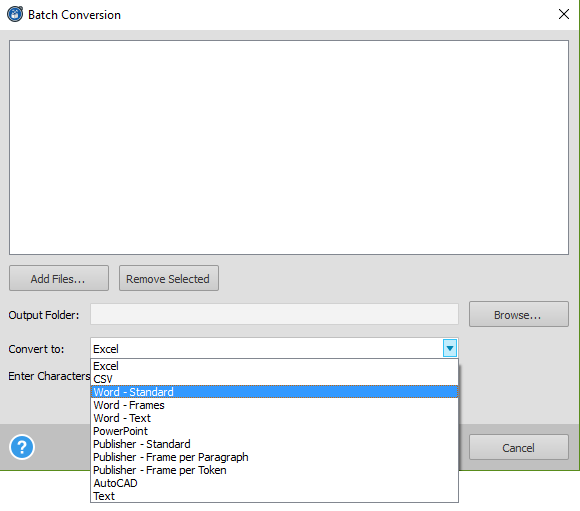 Start with a 7-day trial and see how the PDF batch conversion feature works for you.